Posted on 07/13/2018 by Yanis P.
A few years after his family crossed the border from Mexico in 2004, he called the cops to report his father for beating his mom. The police intervened, his dad got deported and Gabriel and his family eventually received U-visas, reserved for undocumented victims of crimes who cooperate with police. Gabriel says he was released that day without bond and when he showed up to court, the prosecutor decided not to pursue the case. He was relieved, but even though the case was cleared, his information had already been entered into ICE’s system, and when he returned from visiting his family in Mexico in February, Gabriel discovered that the incident had repercussions. He says he was pulled aside while going through customs and told by an immigration agent that if he gets arrested again, he’ll be deported. Last summer, Gabriel found himself in another domestic violence situation when his wife became violent during an argument, punching him several times while he was driving with one of his nephews in the car. He says he pulled over and called the police, hoping they could help him defuse the situation. But when the cops arrived, Gabriel says his wife accused him of assaulting her and he was the one who wound up in handcuffs. Because he was arrested in Frederick County, Md., where sheriff’s deputies have been engaged in a partnership with Immigration and Customs Enforcement to help enforce federal immigration law since 2008, Gabriel was asked about his immigration status upon being taken to the local jail/detention center. Gabriel’s story is just one example of the real-life ramifications of the 287(g) program, a long-standing and controversial federal program that trains and deputizes state and local police officers to enforce some aspects of federal immigration law. Participation in the program has varied over the years, but is being revived under the Trump administration. Gabriel had the misfortune to live in one of a small number of jurisdictions — a total of 78 in 20 states, double from a year ago — that are currently enrolled. 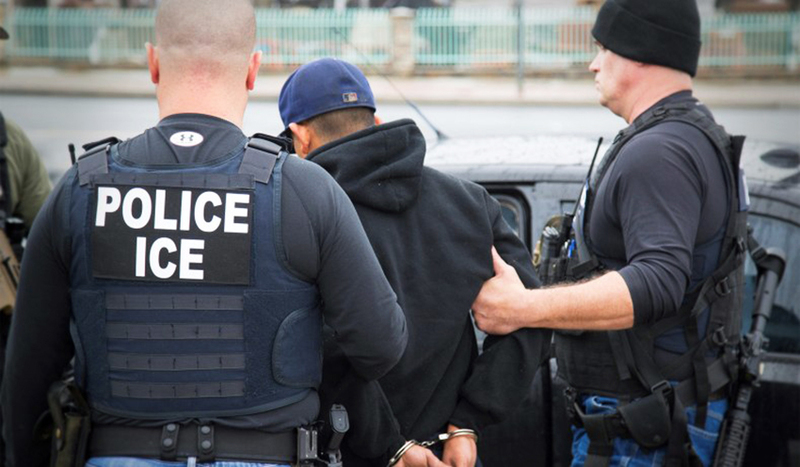 After undergoing four-week ICE training (followed by a required refresher every two years), deputized officers are generally authorized to question individuals about their immigration status, check DHS databases for such information, transfer non-citizens into ICE custody and launch deportation proceedings by issuing official Notices to Appear in immigration court. They are also able to enter personal data into the ICE database, recommend non-citizens for detention and immigration bond as well as voluntary departure and issue requests for immigration detainers to hold people until they can be taken into ICE custody. “Why are we identifying foreign-born gang members?” the former ICE official asked, noting that plenty of foreign-born people may be citizens or otherwise legally authorized to be in the country.“Being foreign-born doesn’t really get to root of the underlying problems of immigration and customs enforcement,” suggesting something like “foreign nationals,” might be more appropriate. Instead, ICE’s language seems to paint anyone who may have been born outside the U.S. as a person of interest. The war against illegal immigrants rages; for now, the target is illegal immigrants, but the target will change, and immigrants that refuse to assimilate will be viewed through the same lens. The trend of “nationalism” is gaining momentum on a worldwide basis, especially in the west. Nationalism is dangerous for it allows the top players to manipulate the masses with ease under the guise of protecting the country. An elderly Australian nun facing deportation after angering Philippine President Rodrigo Duterte launched a last-minute appeal against the order on Friday, the deadline for her to leave the country. 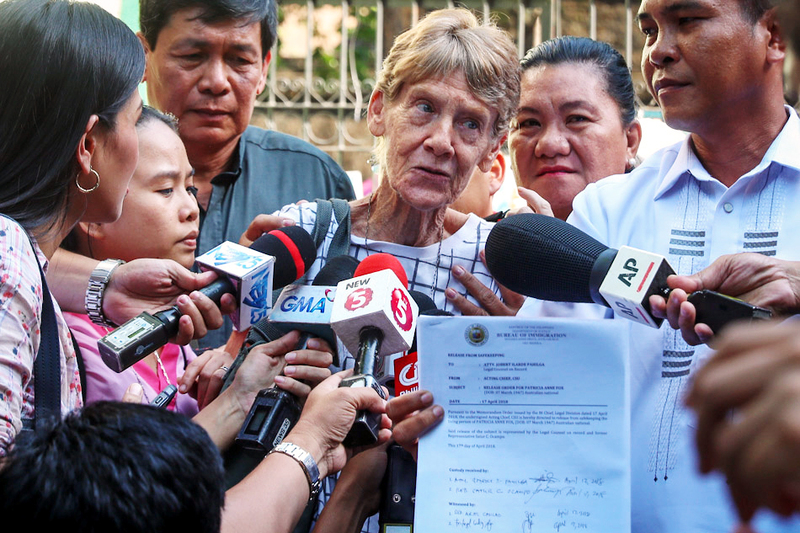 Sister Patricia Fox, 71, has been accused of illegally engaging in political activism as the government cracks down on foreign critics on its soil. Duterte, who accuses the Melbourne native of “disorderly conduct”, had the immigration service detain her briefly last month, after which her missionary visa was cancelled. “Of course my wish is to continue my missionary work here and be with the poor,” Fox told reporters after filing her appeal with the justice ministry, which oversees immigration. Fox had earlier filed an appeal with the immigration service, which this week upheld the deportation order asking the nun, who has been in the Philippines for nearly three decades, to leave by Friday. However, on Thursday the immigration service’s spokesman Dana Sandoval told AFP her office “will submit to any directive that may come from” the justice ministry. Sandoval did not return calls for comment Friday. Lawyer Katherine Panguban said Fox’s legal team was studying other options in case the justice ministry rejects her appeal. “We will exhaust all administrative and judicial remedies available,” she said.Authorities have previously said she would be allowed to remain while her appeals are pending.Fox told AFP earlier this month she apparently angered the president by joining a fact-finding mission in April to investigate alleged abuses against farmers, including killings and evictions by soldiers fighting guerrillas in the southern Philippines. “You insult me under the cloak of being a Catholic priest, and you are a foreigner! Who are you? It is a violation of sovereignty,” Duterte said in a speech last month, apparently referring to Fox. Duterte has also launched verbal attacks against critics of his government’s narcotics crackdown, which has killed thousands of alleged dealers and users. A perfect example of the saying “when in Rome do as the Romans do or be sent home”. In most countries, non-citizens are treated quite harshly if they get involved in politics. Imagine what would happen in the US if Iranians came here and performed political activism. President Donald Trump on Friday signed a series of executive orders that could make it easier to fire federal government employees, potentially undermining the unions that represent them. The three executive orders Trump issued would reduce the timeframe for firing poor performers, curtail the amount of paid time federal employees can receive for union work and direct agencies to negotiate more restrictive union contracts in a timely fashion. 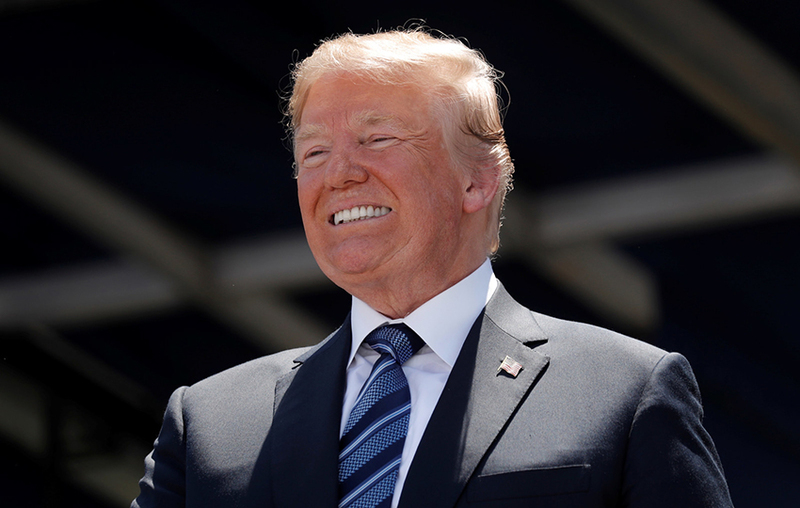 By signing the orders, the president was “fulfilling his promise to promote a more efficient government by reforming civil service rules,” Andrew Bremberg, director of the White House Domestic Policy Council, said in a call with reporters. Government workers, in general, are the worst workers around; their performance is so bad that they are setting themselves up to be replaced either by AI or robots. Soon to be announced will be a program that does just this, but the main function of this program will be to lower headcount by making workers (that are left) work more efficiently. On a separate note, the days of the Unions are numbered and believe it, or not this relates to AI. AI is going to assure that Unions go the way of the dinosaurs. Massive change is coming, and it won’t be good for those who are unprepared.